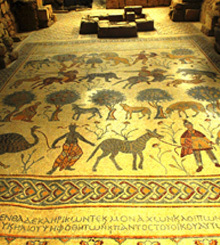 Drive about 30 km to Madaba town, known for its Byzantine mosaic art. Highlight is the visit to St George's Church with the popular mosaic map of the Holy Land from the 6th century. With two million pieces of local, colored stone, the map depicts hills and valleys, villages and towns in Palestine and the Nile Delta. Short drive to Mount Nebo. From here Prophet Moses overlooked the promised land after 40 yrs in the desert, and Nebo is his alleged burial site. Enjoy the view of the Holy Land (if weather is clear) and see more mosaics inside the early Christian church of Mount Nebo. 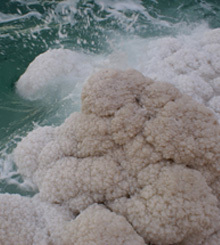 Then to the lowest point on earth, the Dead Sea, one of the most incredible places in the world. Due to the high salinity one can float on the water, and the mineral concentration in mud and water is used for therapeutic and beauty treatments. Queen Cleopatra appreciated already the spa and health effects of the Dead Sea. Moreover, the area plaid a significant role in the Bible, most popular is the destruction of Sodom and Gomorrah. Return transfer to Amman hotel. 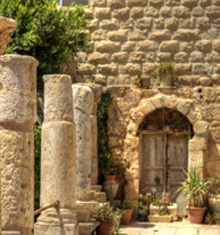 ● Entrance fee to Madaba St. George's Church, Mount Nebo, Dead Sea Amman Beach. ● Admission fee Dead Sea Beach does not include towel.